“It’s the wrong trousers, Gromit!” says plasticene-man Wallace in the Yorkshire accent of recently departed Peter Sallis. I have always marvelled at the fragile characters. Can you mould plasticene figures? I never could. A few blobs on top of each other, with scarecrow arms, was the best I could manage. I have always admired proper sculptors, who can make human shapes come to life in bronze or stone. I have just discovered an amazing woman, at one time the oldest living sculptor, who was an Anglican peacemaker. Josefina de Vasconcellos (1904-2005) had an English Quaker mother and a Brazilian father. She married a lay reader and was received into the Church of England. As well as being the first woman sculptor to have her work accepted into St Paul’s, she was also a “musician, composer, poet, dancer and inventor”. I would settle for being any one of them! It was spruced up for her 90th birthday in 1994, this time without the barbed wire, and renamed Reconciliation. Since then, it has become a worldwide symbol for reconciliation. In 1995, copies were unveiled in both Hiroshima and Coventry Cathedral, marking 50 years of relations between Britain and Japan following the obscenity of the atomic bombing. A copy was unveiled in Berlin in 1997, along the line of the former wall, coinciding with the opening of the Reichstag. 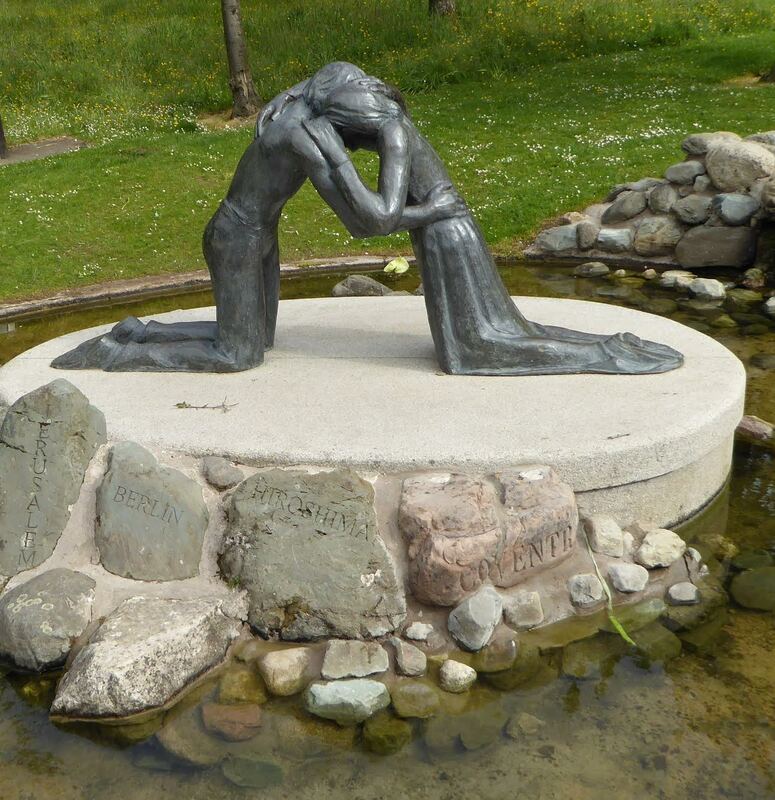 Following the Good Friday Agreement, a Reconciliation copy was placed in the grounds of Stormont, the Northern Ireland Parliament building in Belfast. I desperately hope that Brexit won’t lead to the barbed wire returning between the figures. What gets me about Josefina’s Reconciliation is how each person needs the other. There is weakness in their tired, kneeling, figures. Emotionally, each needs the other. Physically, they lean forward and would fall over without the other. Coming from a hostile past, they now bring mutual repentance and forgiveness. Their conflict has been transformed; their relationship restored. 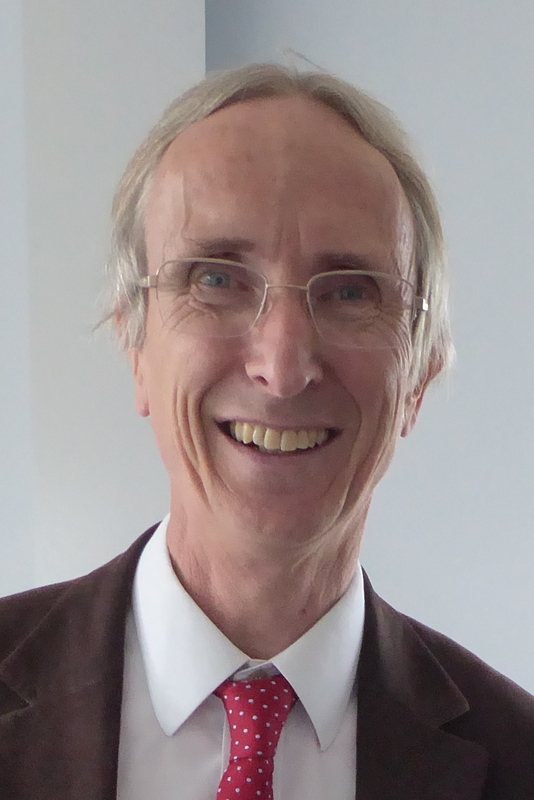 Clive Barrett is Strategic Adviser to the Anglican Pacifist Fellowship and Chair of the Peace Museum, Bradford. He enjoys playing plasticene with his grandsons.